What can we expect from the upcoming lame-duck session in Lansing? Rick Pluta and Zoe Clark break it down. State lawmakers will be back in Lansing tomorrow, beginning their lame-duck legislative session. 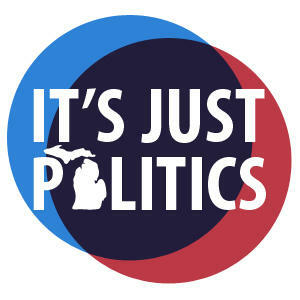 Zoe Clark and Rick Pluta from It's Just Politics join us on Stateside to discuss their list of lame-duck issues. 1. Roads: Governor Snyder wants more money to fix the roads, but the Legislature has not been able to agree. 2. Adding protections for gay or lesbian individuals to the state's Elliot-Larsen Civil Rights Act: Debates over inclusion of transgendered individuals or religious faith opt-outs may complicate the decision making process. 3. Education: Education issues like teacher evaluations, third grade reading standards, and changes to how Detroit school board members are designated are all on the docket for the lame-duck legislative session. 4. No-fault auto insurance: Republicans have been trying to end unlimited medical coverage for accident victims, according to Rick Pluta. 5. Allocation of electoral college votes: Michigan is a winner-take-all system, meaning that whichever candidate for president gets the most votes, they win all of the state's 16 electoral college votes. There is a push by some Republicans to have the votes be allocated by congressional districts instead. *You can listen to the full segment above. We are now a week and a half away from Election Day and this is the breakout time in any campaign season. The closing days when candidates and campaigns make their final pitches to try and close the deal with voters. Although a lot of voters have already voted. As many as a third of the ballots in Election 2014 will be absentee ballots filled out before November 4th actually arrives. And that means as many as a third of Michigan voters have already made up their minds and won’t wait for November and the campaigns’ closing arguments. The fact that so many voters now use absentee ballots has pushed up the late-campaign attack ads; the ones that are really jarring. What happened to our 5 things to watch on Election Day? Zoe Clark and Rick Pluta of our It's Just Politics team gave us a list of five things to watch just before the election. Now we look at results and break down just what happened on election day. 1. How well did Snyder do in Detroit? Governor Snyder did better in Detroit than he did four years ago. He did not seem to pay a political price in the city for the Detroit takeover and bankruptcy. However, it's hard to know if this is an endorsement of Snyder or simply a result of the falloff in Democratic voting.